They want you to know that they’ve removed the excess, the particles you just don’t want while you’re drinking this water. Filtering gets rid of junk and leaves you only what you really want – the good stuff. Jungle Scout’s Product Database works in much the same way. Looking at the Product Database now, I can see almost 60 million products for the US marketplace alone. That number is growing every day. You’re busy building a business. You don’t have time to scroll through 60 million results. So, we’ve put together a guide on our favorite ways to hack the Product Database to get only the best results. There are endless ways to combine filters to get great products in Jungle Scout, but these are some you may not have heard of. Find a product customers hate. 1. Start with one category. Even when you apply some filters, searching with every category selected still turns up a ton of results. If you have an idea of the type of product you’d like to sell, you can start with just one category. These are great categories because you can find products people tend to buy on Amazon more often, like kitchenware. And, there is a lot of opportunity for products that are easier to manufacture, like lawn decor or craft supplies. 2. Spy on smaller sales. We typically recommend sales volume of at least 300 units a month or more. But, that’s not a hard and fast rule. There are tons of opportunities you can uncover for products that sell around 100 to 200 units a month. With the right product, that can still generate some decent sales and revenue for you. For example, we found this Kids Protective Sports Gear Kit. It has an Opportunity Score of 6 and the potential to make over $5,000 a month! Let’s assume you’re looking for something in the Kitchen category. You filter for something with the standard “good opportunity” building blocks, like a Minimum of 300 monthly sales and a Maximum of 30-40 reviews. As you start scrolling through the results, you might notice a few things that just don’t appeal to you to sell. Maybe you want to avoid glass products or maybe you’ve seen a few brand names in your results. If there’s anything you don’t want to see, exclude it. Scroll right back up and add anything you want to exclude in the Exclude Keyword section. This narrows your ideas down – fast. You can add as many as you want, separating by comma. You may be selling in the United States, but that doesn’t mean you want to stick with one marketplace forever. If you pick a really hot product, it might be worth checking the same product in other marketplaces, like Canada or the United Kingdom. It’s worth seeing how products like this one fare with customers in other marketplaces, because it helps you keep an eye on global trends. It may also give you a good idea of the next marketplace for you to branch into. All you need to do is change the marketplace you’re looking at in the Product Database and type in the keywords for the product you have your eye on. 5. Go for lighter products. There are a lot of considerations when you’re finding a profitable product to sell. One of them is having a lightweight product. Amazon calculates fees based on the amount of space a product takes up and the cost it takes for them to ship it. That means a small, light product is your best bet for lower fees and higher profits. We found this Birthday Queen Sash using the filters below. It has the potential to generate over $7,000 in revenue every month, with an Opportunity Score of 7. 6. Automate your product research. If there’s one place to cut corners as an entrepreneur, it’s automating your daily tasks. With the latest update to the Jungle Scout Web App, you can now save your favorite filters. Or, you can use some of the filters we’ve curated for you! 7. Find a product customers hate. This one might sound REALLY contrary, but we promise it works. You need to find a product that has poor ratings, but that customers seem to be buying anyway. Sometimes, desperate times call for desperate measures and that’s exactly why a product might sell well, even if the reviews are bad. Customers may just need it, regardless of reviews. Or, it’s a one-off item they don’t rely on quality for. Whatever the reason, there’s an opportunity for you. Once you get your results, take some of the products and check them out on Amazon. See what customers are complaining about and pass that information along to your manufacturer. Improve the product! Once you’ve filtered and found some great ideas, take your filtering to another level. The Product Database is designed so that once you’ve filtered, you can essentially filter your results a second time by sorting the columns based on the criteria you care about the most. Let’s say you’re looking for a product with very low competition – that means very few reviews. You can sort the Reviews column from the lowest number of reviews to the highest and start with the products that appeal most to you. 9. Look for lousy marketing. This is one of our favorite ways to hunt down new opportunities. So, it may not exactly be a secret. But, it’s a killer way to find high-potential products fast. Jungle Scout is built with a Listing Quality Score (LQS). We have an in-house algorithm that combs through listings and grades them based on things like photographs, keywords and descriptions. The lower the LQS, the better the opportunity it is for you! If a product has great sales, but a bad listing, that’s an incredible opportunity for someone with some marketing savvy to come along and make a listing that’s 10 times more appealing for customers! 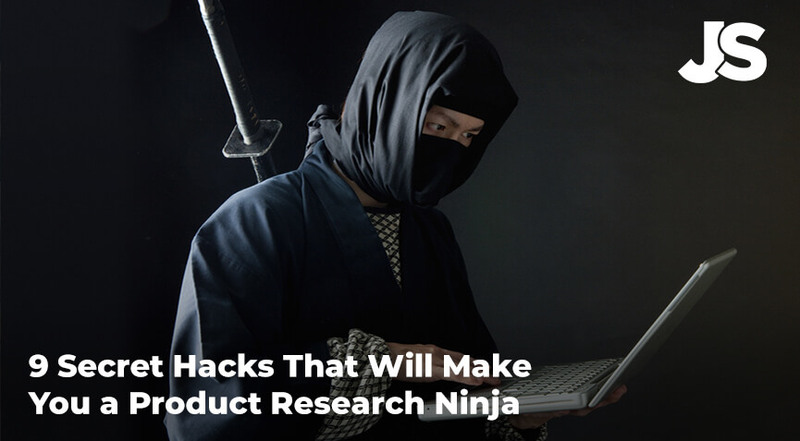 Have you found any other ways to hack the Product Database for faster, better results? We’d love to hear your product hunting strategies. Share them with us in the comments! Ready to find profitable Amazon product ideas in 20 minutes or less? Very useful for us. because we are “Rookies” in this.